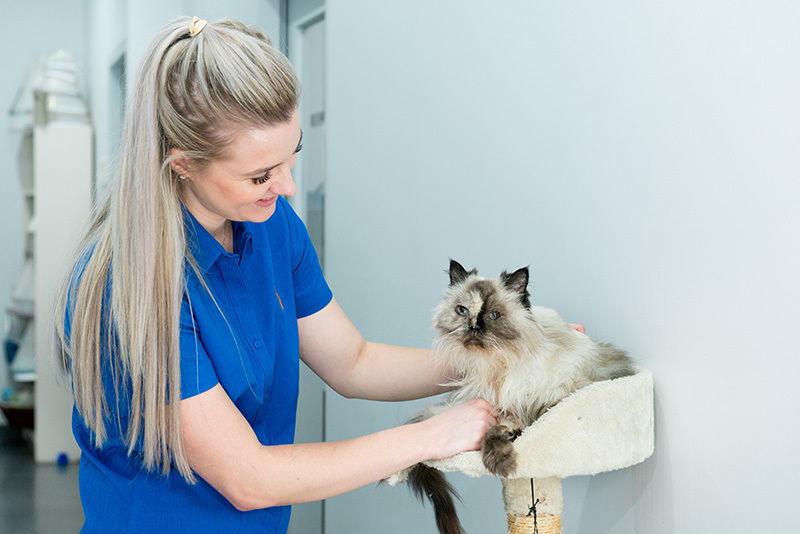 Cat boarding facilities at Stephen Terrace Veterinary Clinic provide hygienic, comfortable and safe residence for short, medium and long-term borders. 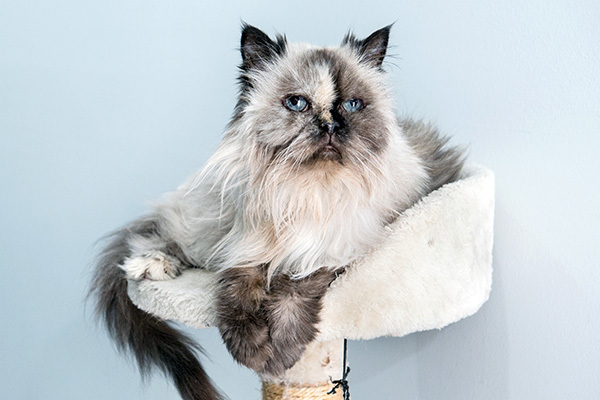 Our Cat Shacks’ multi level design allows cats to fulfill their natural desire to climb, perch and sleep above floor level, while separating litter trays, food and water bowls from these resting areas. The design allows for cats from multi cat households to each have their own equal space and with the the option of an interjoining door, just like your family hotel suite! The front doors are constructed of clear polycarbonate, allowing direct visualisation of our boarders. The boarders are cared for by trained veterinary nurses who are responsible for the twice daily feeding and cleaning of our guests. All cats are fed super premium balanced diets, but individuals with special nutritional requirements or those on prescription diets are easily catered for. Any cats on prescription medication are treated in accordance with the owner admission instructions. Any cat displaying evidence of illness will be placed on the duty veterinarian’s examination list for the day. We will contact you as to discuss any recommendation for treatment and/or investigation if required. To book your cat in for a comfortable stay at our facilities, please call us at (08) 8362 6688.